The recommended Daily Duty Cycle is 6,000 pages per day. in Color, Grayscale, or Black & White. The PaperStream IP driver takes the work out of image cleanup when scanning invoices, ID cards, receipts, forms, or any other day to day paperwork. PaperStream IP automatically improves the image quality, removes unwanted backgrounds, and optimizes your scanned images for optical character recognition. It is fast and easy to use. Our latest innovation, Assisted Scan, allows users to replace poor images by visually selecting the image they lack rather than learning driver settings. If driver settings need to be adjusted for rare and difficult documents, our preview function allows scan operators to see their adjustments in real-time without time consuming re-scans. PSIP works with both ISIS and TWAIN applications. McKesson DCS 15.1.4 CP7, 16.1.2, 16.2.2 and higher now supports PaperStream IP with barcode reading. McKesson ILE is supported as well. 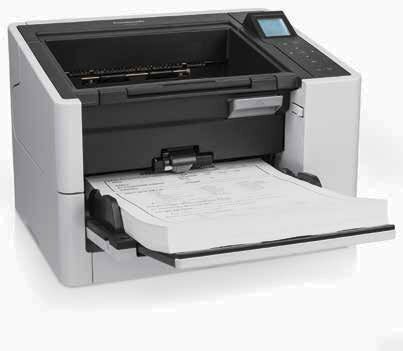 PaperStream Capture (PSC) makes advanced capture with Fujitsu scanners easier than before. PaperStream Capture has a streamlined User Interface to reduce training time and increase productivity. Not only have we provided users with the most common profiles used by customers—black and white, color, and auto-color—new profiles are easily created or modified through a wizard. We have organized the release screen so that batches can easily be suspended or continued. PSC is also integrated with PaperStream IP’s assisted scanning for visual cleanup of documents. The reading of barcodes and patch codes make batch separation easy, improving document organization. Whether the infrastructure is fixed or expanding, managing technology efficiently inside the organization is key to reducing total cost of ownership and the Fujitsu fi-7180 scanner provides system administrators with advanced software tools to centrally manage the scanner more productively and cost effectively. 11.8 x 6.7 x 6.4 in. TWAIN, ISIS™, USB cable, AC adapter/cable, Setup DVD ROM, Getting Started Guide. One Year Exchange. Other options such as Advanced Exchange are available. We do not have any accessories available for this product. Please contact Fujitsu for parts. This fi-7180 is a faster version of the fi-7160. Below is the review for the fi-7160. 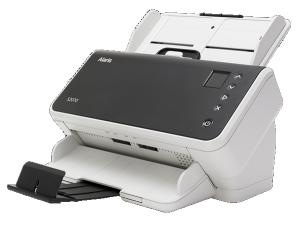 "As a compact document scanner for small to midsize offices or workgroups, the Fujitsu fi-7160 ($1,195) provides very good scan speeds. 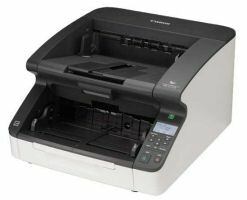 It has a solid set of features for improving scan reliability and quality. 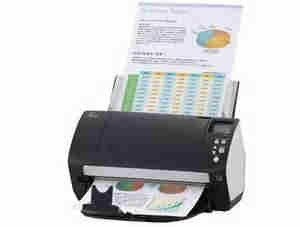 It fell bit short of the Editors' Choice Epson WorkForce DS-860 Color Document Scanner in terms of scanning to both image and searchable PDF formats, however, and its OCR performance on our tests wasn't as good either." We do not have any customer reviews of this product.